Op-ed: A policy of limiting immigration and deporting infiltrators is a necessity. Neither emotion nor criticism and pressure should drive the decision on Israel’s immigration policy, only the national interest should count. It was fast zigzagging that made one wonder whether emotion or intellect was behind the decision. There has been a lot of emotion involved in the debate over Israel’s policy in recent years regarding the deportation of infiltrators. Until Monday, emotion didn’t change a thing. Not the absurd comparisons to the Nazis and not the wide Jewish interpretation of the status of the foreigner and the resident. Not the Jewish mercy, not the demonstrations and not the aid organizations. Emotion, important as it may be, belongs to people, not to states. It’s a good thing to have, but it can’t come before national interests. On the other hand, intellect—when used on a national level—leads to results. Our biggest achievement to date was stopping the flow of infiltrators from crossing our borders. Until 2011, merely seven years ago, Israel was a well-known destination for job seekers from Africa. The word “refugees” is political commentary created in recent years. You can’t rewrite history. 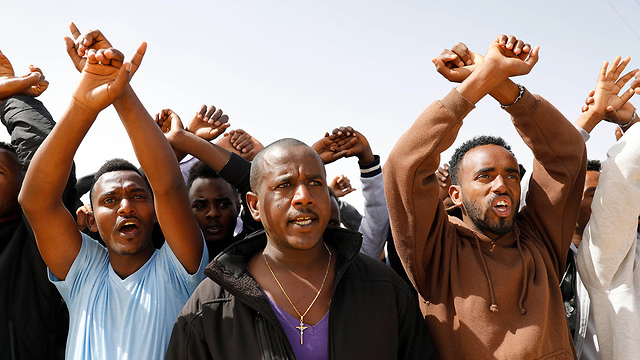 Israel, a flourishing Western country, attracted a lot of African migrants. They went through other countries on their way here, just to arrive to a place where they could make a lot of money. At the height of the infiltration, an average of 2,000 people crossed the border from Egypt each month. 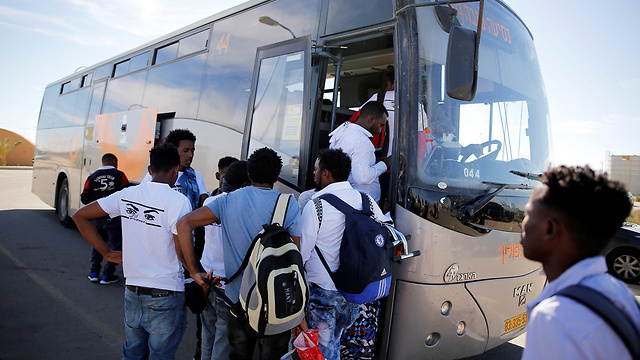 They crossed the border and waited for the State of Israel to pick them up in buses and take them to southern Tel Aviv. This was an ongoing blunder that stopped when the fence was built. Olmert put the idea in motion, Netanyahu continued to build and invested quite a lot in it. The phenomenon of infiltration is part of a natural economic process. Abundance attracts the poor. Africa’s inhabitants are looking for a way to the West. Citizens of third world countries are looking for an entry ticket to thriving countries. Israel has been and still is a preferred destination: a democratic country where, in the worst case scenario, one gets arrested and spends time in an open detention facility in southern Israel at the expense of the tax payer. There was also no room for emotion in the formulation of a balanced deportation policy for those who were already here. There were existing models, solutions formulated by Western democracies from around the world after they found themselves flooded with migrants that were endangering their national identity. The liberal concept of having no borders and nationalities was a nice one. A John Lennon song, nothing more. Imagine, and that’s it. In Britain, tens of thousands of people go through detention facilities for illegal migrants every year. The Netherlands, in another time, built a detention and deportation facility next to an international airport. During the big immigration wave, Italy created detention camps in Libya to prevent maritime crossing. To this day, Australia deports Muslim migrants to islands in its area. And it’s always good to remember that it wasn’t just Trump who talked about deportation from the US, 400,000 illegal migrants were deported during Obama’s first year in office. There were other models, of course, of absorption and containment, which always led to violence and tension in cities with high concentration of migrants. There are many explanations as to why that happens. And yes, it is a fact that when migrants and disadvantaged populations are put together, the result is more crime—whether it’s a suburb in Berlin, Paris, or Tel Aviv. This is exactly the reason why the infiltrators deportation policy was and still is a necessity in every thriving country. How to do it less important, as long as there is a policy, and there is no vacuum. And here we come to Monday night’s dance. When the decision was made to deport the infiltrators from Israel to African countries, it withstood the test of common sense and Israeli law. In my opinion, when it was decided to sign a new agreement with the UN, because of difficulties posed by these countries as well as legal restrictions, it could have withstood the test of common sense, as long as only a small number of infiltrators would’ve been left here as temporary work migrants and southern Tel Aviv would’ve been rehabilitated. I believe Netanyahu and Deri that this was their original intention. Judging by the zigzagging, however, one can’t say whether they actually meant for this to happen. The end result, the rate of the departure of infiltrators, would have determined that. But instead of putting the plan into action and examining its merits, we’ve gotten an unclear result. On the one hand, a problematic declaration that Israel’s immigration policy needs to be changed, while on the other hand, a few hours after the announcement of a new policy, its suspension due to criticism. This is reminiscent of the Bedouin plan, which was hit with criticism from the Left and then from the Right, until it was frozen. Since then, only a vacuum remains and thousands of illegal structures are being built every year. This reality, in which half the world is poor and failing, is a tragedy. The reality in the Muslim states around us is a tragedy. The limitations to helping those in need around the world are a tragedy. But a policy of limiting immigration and deporting infiltrators is a necessity. In this case, too, not emotions—pity or anger—nor criticism on Facebook or pressure, should drive the decision. Only the national interest and needs.